Charlotte Mason was an eighteenth-century Christian British educator who founded a school that eventually included a teachers’ college and became an international model experiencing a renaissance within the classical tradition. Schools and parents are rediscovering and reviving Mason’s work. So who is Charlotte Mason? She refined the classical tradition of her day by restoring its treatment of children as living beings made in God’s image rather than repositories for long sets of “dead facts” memorized outside of context. Her emphasis treats learners as agents in their own maturation who are expected to cooperate with the Holy Spirit’s work on their spirits and minds, rather than be seen as inanimate objects passively waiting to be filled and tugged along by a parent or teacher. 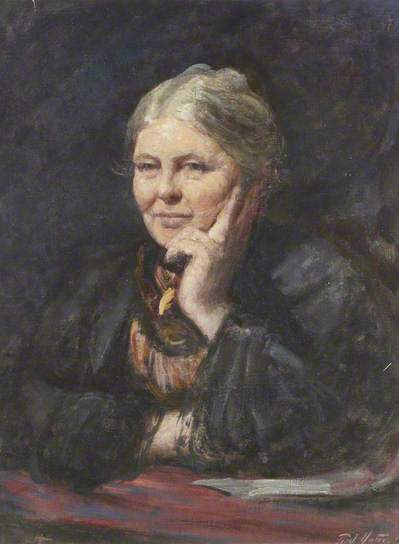 The students in the schools she founded read and discussed living books written by excellent authors on various subjects, took daily nature walks and recorded their observations in notebooks, enjoyed art and music, cultivated and maintained good personal habits such as attention to detail, focused attention and consideration to others, and learned foreign languages. And, by using short lessons, they accomplished all of this (and more) by lunchtime so that they had their afternoons free for their own individual worthy pursuits. The Charlotte Mason method uses living books with an emphasis on quality rather than quantity, narration instead of comprehension exercises or composition, copywork for handwriting, spelling and grammar modeling, nature observation as the primary means of early science, and literature, poetry, art and music to give children’s minds beautiful ideas to feed on. While some Charlotte Mason families use her methods loosely or consider them to embody a harmful philosophy of child-driven learning, a number of thinkers consider them a vibrant embodiment of the classical tradition when carefully analyzed and implemented. We agree, and incorporate some of her insights into the classical tradition we carry on. Here’s a short list of Charlotte Mason distinctives we also call our own. Because Mason considered attention span a key determinant of learning capacity, she was careful to stretch children’s attentiveness as they grew. One method for this was short lessons, of approximately 15-20 minutes per subject, gradually increasing the time spent on each discipline as students age, until high-school-age students study for approximately 45 minutes on core subjects, which is often considered an optimal focus period by time-management experts. This variety gives children mental relief and helps them do their best work. It also provides incentives for prompt completion of work and discourages dawdling, which allows students to learn more in less time and with fewer poor attitudes and behaviors. Recent cognitive research shows the average attention span is decreasing, and a major cause of this is increased time spent with jumpy screens. Yet the art of listening and concentration are key life skills whose value increases as society loses the capacity for them, and not only in personal relationships but also to develop the deeper skills and knowledge that will accelerate a career. 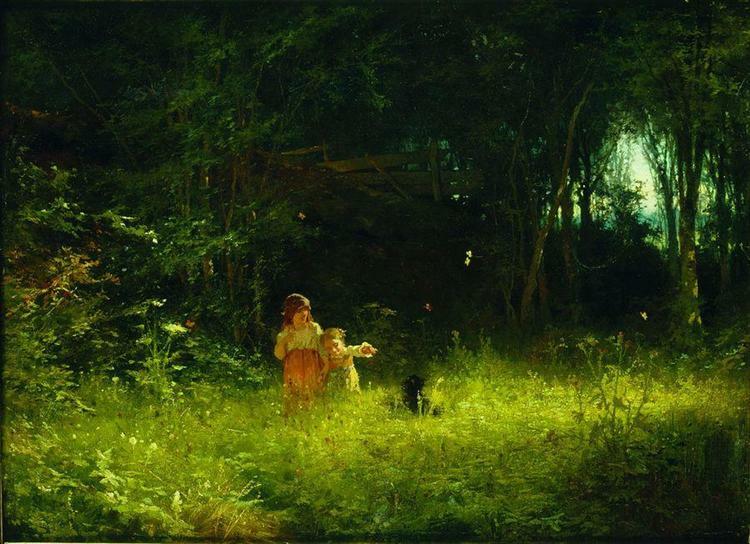 “Children in the Forest,” Ivan Kramskoy. Miss Mason recommended integrating a study of and physical experience with God’s creation into art, science, and physical exercise. God placed Adam and Eve in a garden, after all, and commanded them to steward nature. Frequent interaction with physical creation invites children (and humans of all ages) to wonder at creation, and wonder is the first step in natural philosophy. It also recognizes that humans are embodied beings, for whom physicality is a real and crucial dimension of life. Our students daily study and revel in nature through walks, gardening, science projects, sketching, weather observations, nature journals, and so forth. Ultimately, we plan to buy wooded property to host our school, but in the interim our students will enjoy a natural playground. 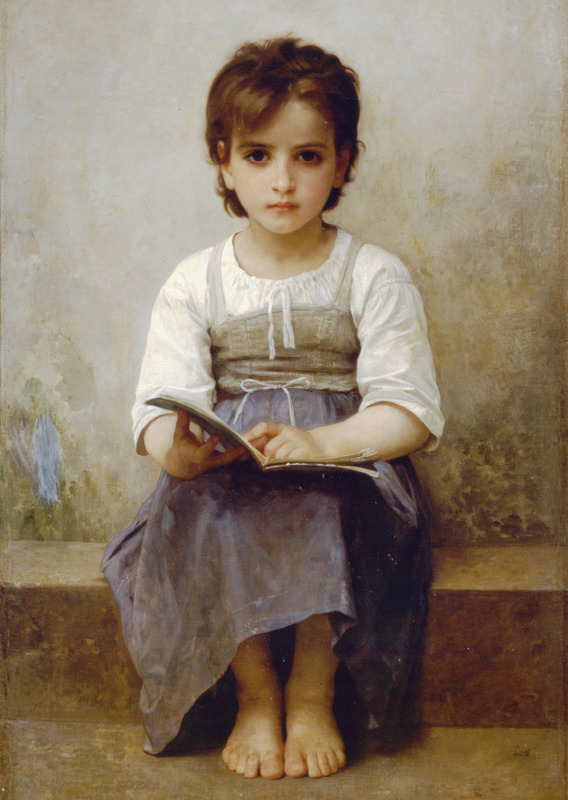 “The Hard Lesson,” William Adolphe Bougeereau. Memorization is a key component of classical education, yet many classical programs misuse this powerful tool and transform it into drudgery, which burns families and children out and gives classical education a bad name. Our approach to memory mimics Mason’s, which took care not to bore children and kept memorization simple by integrating it into classes that explained the items children memorize, and prioritized meaningful memory, chief among which is scripture. Of next importance to our memory program are Christian catechism, classic poetry, and historical texts such as the Preamble to the U.S. Constitution. In math and science, children will also learn by heart key formulas, their times tables, methods of classification, and so forth, but all embedded within the curriculum to integrate memorization and meaning. 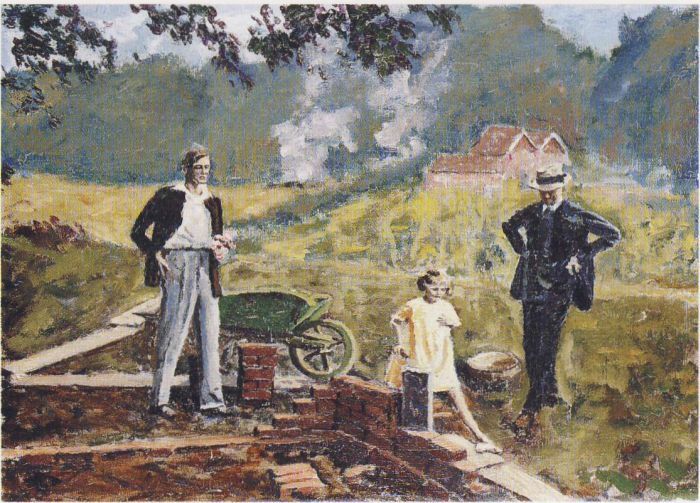 “Mary’s First Speech,” Winston Churchill. Narration is a key component of Mason’s method that successful teachers have used for centuries to help train students in writing and speaking. It simply means teaching children to listen attentively then “tell back” what they have heard during a lesson. Children first do this orally when their handwriting ability is limited (i.e., in the first four forms), gradually progress to doing it in written form, then finally to incorporating their own theses and outside research. Our curriculum incorporates other communication arts, including discussion, debate, public speaking, theater, and rhetoric. 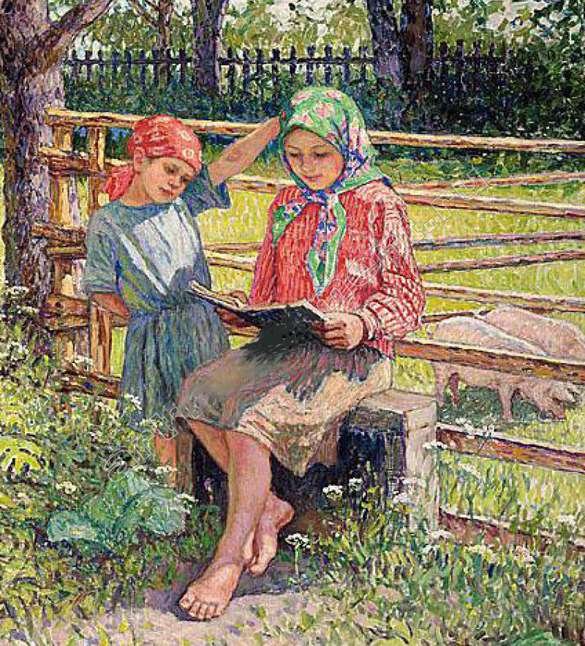 “Doing the Lessons,” Nikolay Bogdanov. Copywork combines attention to detail, memorization, fine-motor skills, handwriting, spelling, and artistic development as children carefully inscribe scripture, poetry, and other rich sentences. It is a small practice that over time leads to beautiful results. 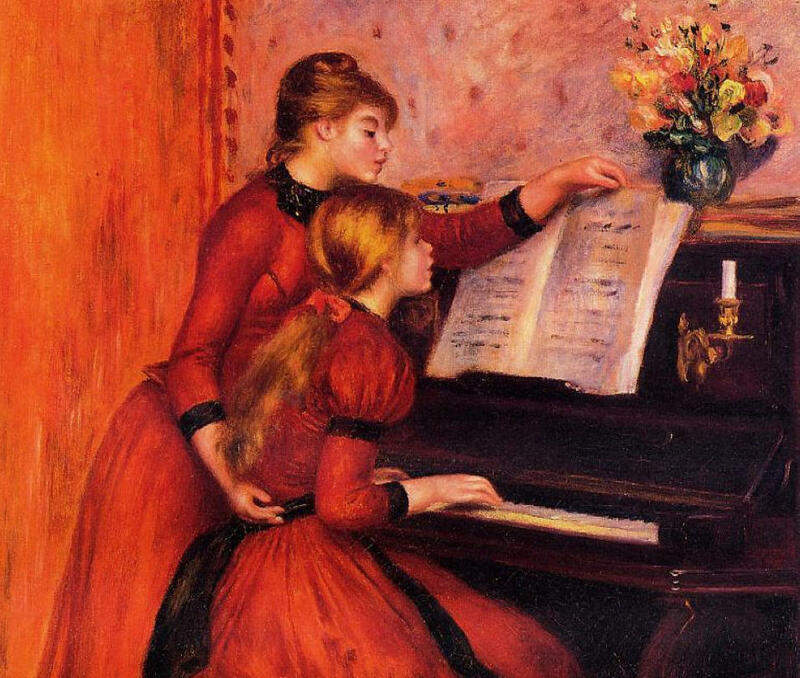 “The Piano Lesson,” Auguste Renoir. 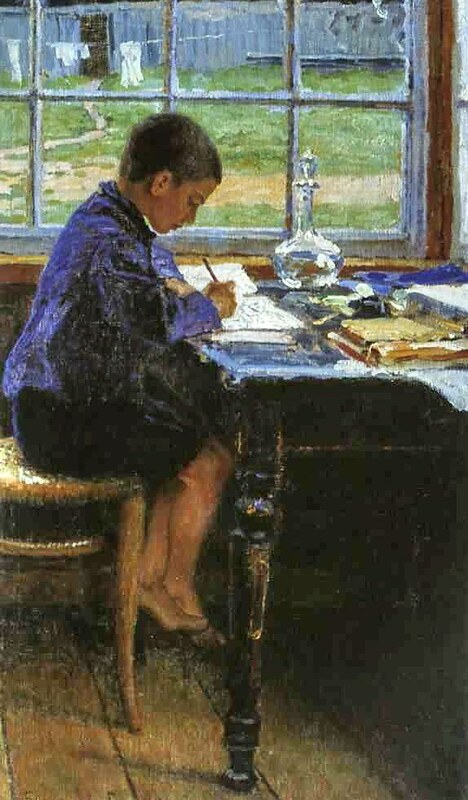 While Redeemer Classical students also learn core artistic disciplines and techniques, such as drawing, composition, painting, color theory, and reading music, they will also spend time studying great artists and their works. 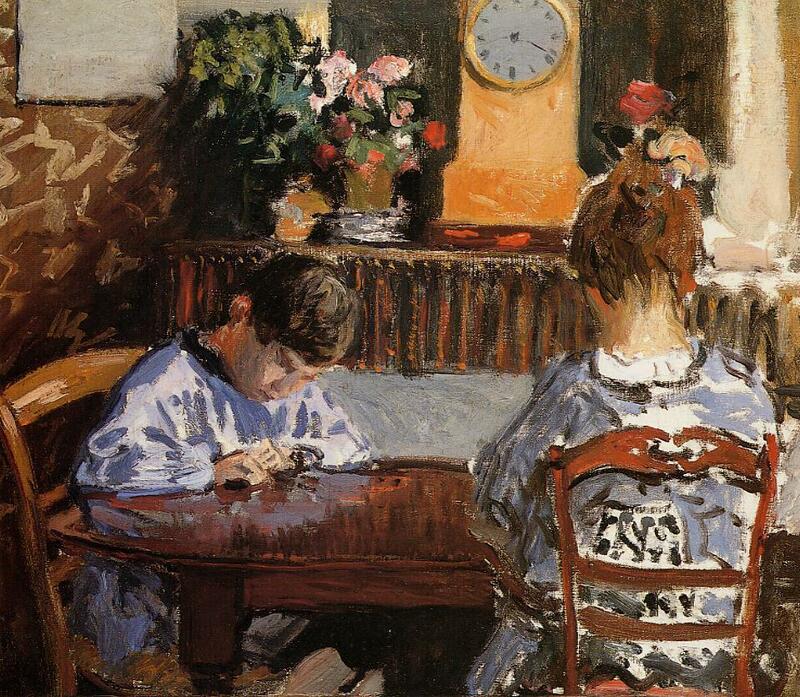 Mason’s methods of doing so include art study, in which children develop their attention to detail, sense of style, and artistic judgment by closely examining and then discussing great works each week. Similarly, with composer study children learn about famous composers’ lives and learn to distinguish their styles, most well-known pieces, and historical periods. Our study of art and music is integrated with our study of nature, history, religion, and philosophy. 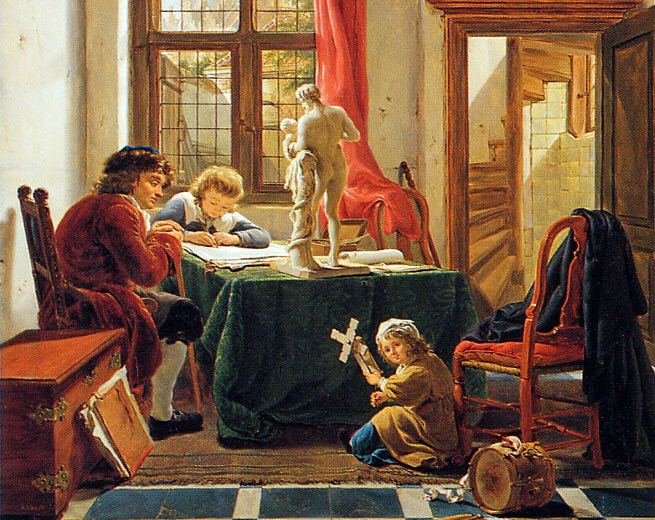 “The Drawing Lesson,” Abraham van Strij. Instead, she recommended serving children what she called “living books.” Children “must grow up upon the best,” she wrote. “There must never be a period in their lives when they are allowed to read or listen to twaddle or reading-made-easy. There is never a time when they are unequal to worthy thoughts, well put; inspiring tales, well told.” The idea, as critic and poet Matthew Arnold once put it, is to acculturate children to “the best which has been thought and said in the world, and, through this knowledge, turning a stream of fresh and free thought upon our stock notions and habits.” This helps create free citizens whose legacy will reflect and elevate their heritage. “We are what we repeatedly do. Excellence, then, is not an act but a habit.” This quote has long been attributed to Aristotle, although it is a historian’s summation of his ideas. Regardless, it is true. Our character is expressed in our habits, and one of the key things parents do is help children develop good habits and prevent or eliminate bad ones. A school should assist in this important task of moral formation. Mason focused on many key character habits in her teaching methods and school arrangements, including: Attention, orderliness, precision, courtesy, observation, thoroughness, patience, obedience, and truthfulness. 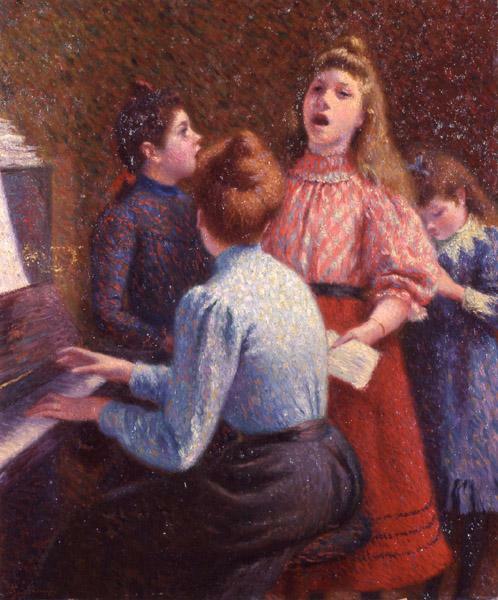 “The Singing Lesson,” Federico Zandomeneghi. Mason believed that education began in the home and what parents did with their children was definitive for their habits and life trajectory. So do we. Schools can do many things, but they properly operate under the authority of both parents and the church, and cannot substitute for either. Our role is to work in partnership with and service to parents’ goals of raising godly children to maturity. To that end, we aim in everything to strengthen and serve families rather than exhaust and divide them, from scheduling and extracurricular offerings to course content and discipline policies, and we welcome parents into the life of the school, from classroom assistance to learning alongside their children to offering workshops, leading school activities, and serving on our school board.